Louth Choral Society excelled in staging the innovative ‘Song of Songs’ concert on Sunday 24th March in St James’s Church, Louth covering themes from Holy Week. 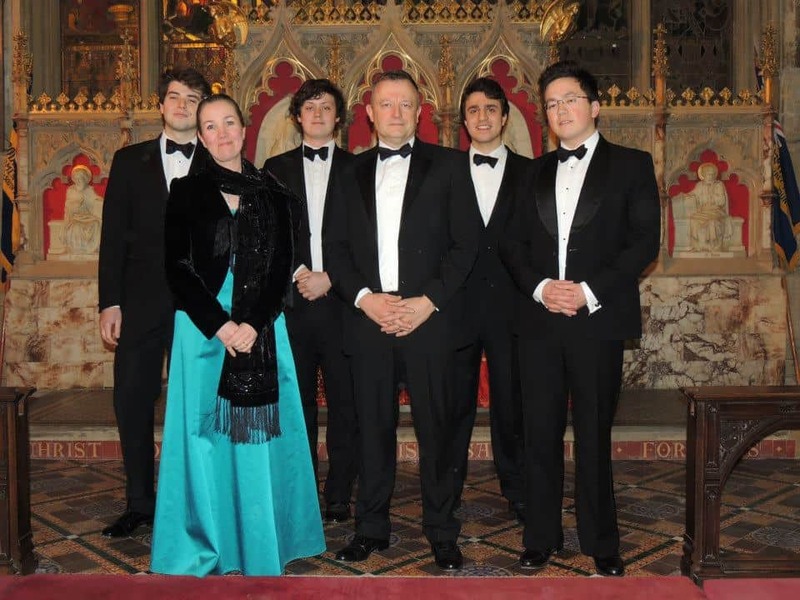 It featured six soloists, strings, harp and organ continuo accompaniment and two conductors. The large audience was treated to a treasure of choral composition from 14c through to the present day, ending with the group of six choral pieces for strings and voices, ‘Song of Songs’, (2009), composed and conducted by Patrick Hawes, former Classic FM 2006/7 Composer in Residence. The first half started with a group of seven short settings in honour of the Virgin Mary under the direction of Martin Pickering which included settings by Britten, Liszt, Grieg and Bruckner. The opening ‘Angelus ad Virginem, sung from behind the choir, which comprised of solo voices and strings, set the scene, followed by a beautifully poised unaccompanied performance of the Basque carol, ‘The Angel Gabriel from heaven came’ by the choir. The choir and soloists were in good voice and other pieces in the group included a most effective interpretation of Britten’s ‘A Hymn to the Virgin’ for choir and quartet. The first half ended with Emanuele d’Astrorga’s rarely performed ‘Stabat Mater’, conducted by Patrick Hawes, reflecting text for Good Friday. This was a beautiful balance of accompaniment, soloist and chorus work. The second half picked up the theme of rebirth based on text from the Song of Solomon and allowed the various guests to take centre stage. It started with Purcell’s ‘My beloved spake’, featuring four exceptional young graduate singers form St John’s College , Cambridge: Counter tenor Oliver El-Holiby, Tenor Julian Gregory, Baritone Henry Neil and Bass Basil McDonald. The chorus and soloists brought rhymic energy to create an atmosphere of unrestrained joy. Next followed ‘A Four Seasons taster’ by the well-known string Quartet ‘Raven’, famous for their remarkable cross-over repertoire, which was full of energy and vitality. The engagement of this string quartet together with Double bass, Pietro Lusvardi and Harpist Rowena Bass was highly effective and created a beautiful atmosphere throughout the concert. The concert closed with Patrick Hawes’s, ‘Song of Songs’ a hauntingly beautiful composition, featuring Soprano, Natalie Clifton-Griffiths, who made this very demanding piece seem quite effortless. This modern work has an instant attraction and contrasting moods which had the audience spell bound and including solo harp accompaniment in one piece, a duet of solo violin and soprano plus chorus in another. Long applause followed to end over two hours of superb music and show appreciation of the creative collaboration of the Society with Patrick Hawes and the musicians he brought to the concert. 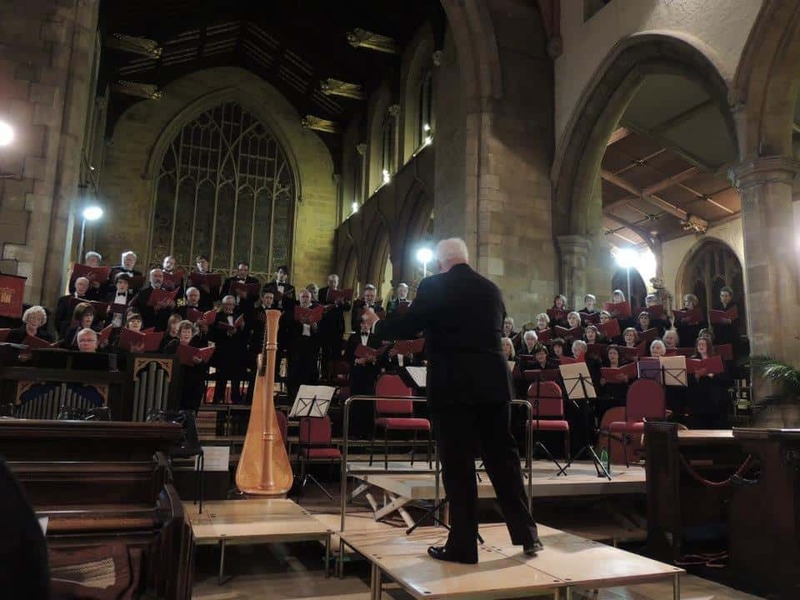 We are fortunate in Louth to have a Choral Society which brings innovation as well as excellence to their concerts and is a credit to Martin Pickering Musical Director and Assistant Anthony Pinel. The influence of their vocal coach and the sixth soloist, Gill Parker was evident in the quality of the chorus singing. This has been taken from a tweet from Patrick Hawes on 25 March 2013.
and thanks to you @LouthChoral for your fabulous singing. 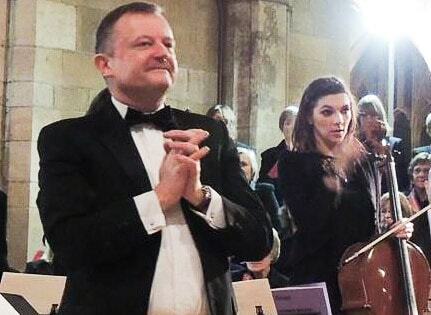 I stick by my words – you are one of the country’s best choral societies. Bravo!